Welcome to the North Star Chapter! We are a Chapter of the Appraisal Institute, the foremost organization for real property valuation specialists. Chapter membership includes Designated Members, Candidates for Designation, Practicing Affiliates, and Affiliates who reside within the boundaries of Minnesota, North Dakota, two-thirds of South Dakota, ten counties in Wisconsin, and the Canadian Province of Manitoba. 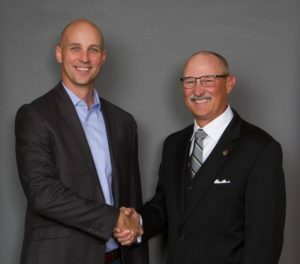 In this quarter’s Chapter President’s Message, Josh Folland, MAI (left, pictured with 2019 Appraisal Institute President, Stephen Wagner, MAI, SRA, AI-GRS) recaps an exciting year and sets the stage for exciting Chapter developments in 2019.